"Mobile Innovation Network Aotearoa [MINA] aims to explore the possibilities of interaction between people, content and the emerging mobile industry." Fig.1 MINA @ FRINGE, Mobile Visual Art Showcase @ Fringe Awards, Paramount Cinema, Wellington, Sun 4th February 2012 [http://www.mina.pro/?p=212]. "This flag was made on the Tory during its voyage from England to New Zealand in 1839 and raised at Petone on 30 September. The Tory carried New Zealand Company agents who intended to buy land from Maori. William Wakefield, the principal agent, referred to the flag as the 'colours of New Zealand' and the Tory gave it a twenty–one gun salute. It is possibly one of several used by the Company. The flag's design was based on a flag adopted by a group of Maori chiefs at Waitangi in 1834 when New Zealand was an independent territory. The flag came to be known as the flag of the United Tribes of New Zealand, a term derived from an 1835 declaration of the country's independence by a group of northern chiefs. The flag was the New Zealand Company's acknowledgement of the independent status of the country. After chiefs signed the Treaty of Waitangi with the British Crown in February 1840, the Union Jack was used as the national flag. 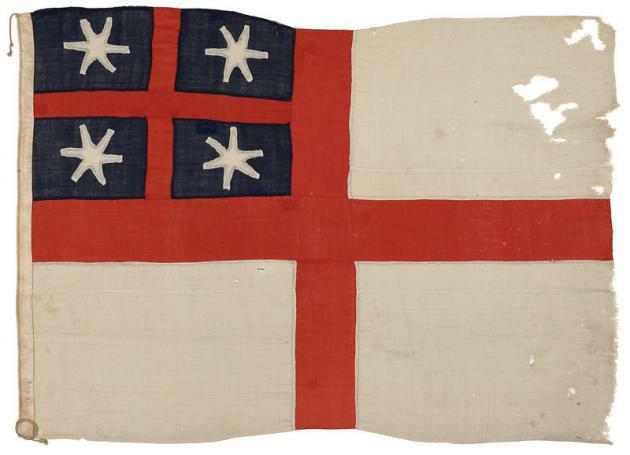 When the Company continued to use the original New Zealand flag, Lieutenant–Governor William Hobson saw this as a challenge to the Crown's authority and dispatched an armed party to lower it on 30 June 1840. The next day the Union Jack was raised and British sovereignty proclaimed. Despite the adoption of the Union Jack, the 1834 flag continues to have a special relevance to Maori and to the Treaty of Waitangi." 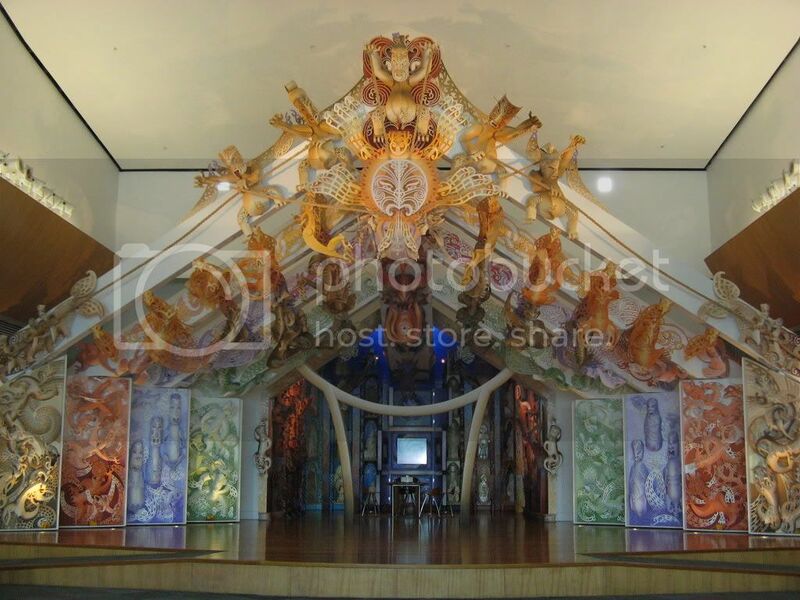 New Zealand's other cultures are represented along the back wall of the meeting house, and the changing relationship between Māori and Pākehā is portrayed inside the cupboards housed in the poutokomanawa (the central heart post of the meeting house)." "In the Present Zone, you can experience virtual bungy jumping, the Magic Lilo (floating over New Zealand), virtual sheep shearing (Golden Shears), virtual dragon boating (Dragon Boat Champs), the Whale Ride, virtual windsurfing (Wave Jumper), and virtual waterskiing (Ski Karapiro)."